Sports injuries are usually caused in two ways – Impact and Overuse. Impact injuries would come from a fall or tackle whereas Overuse injuries are due to repetitive strain. 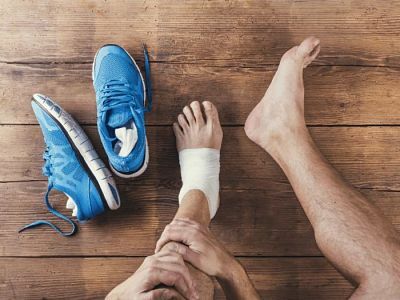 Overuse injuries are by far the most common in sports people so this article will cover some of the ways that you can help to prevent them. Doing too much, too soon is a common problem. Try to keep 80% of your training at a lower intensity level, keep a training log and only increase mileage or effort by 10% per week so the body can adapt to the increased stresses. Train regularly during the week, not all at the weekend for the same reason. A proper warm up and cool down period before and after training incorporating appropriate stretches is very important. Get plenty of rest including complete days off to allow your body to grow stronger whilst it recovers. Using poor form or the wrong equipment can lead to injuries. Working with a coach or personal trainer when starting out will ensure that you know the correct techniques to use and together you can work on any adaptations needed to suit your body and movement type. Always use the correct equipment for your sport, size and ability level. Shoes are particularly important as problems in the feet lead to injuries further up the legs. Only doing one type of exercise stresses the same set of muscles, tendons and ligaments. This can cause irritation and inflammation as well as causing muscle imbalances and alignment problems. Cross training by doing a number of different sports or using strength training, yoga, Pilates etc. to keep you in balance will help to prevent these problems. Returning from injury too soon often leads to a secondary injury as you try to make up for lost time. Always respect your body and take the rest and treatment necessary to fully recover from your injury before returning to sport. Then take it steady to rebuild your strength. Review your training routine and adapt as needed to avoid future problems.